One of Shakespeare’s lesser performed plays, Coriolanus will open at the Ropyal Shakespeare theatre on 15th September and will then play in rep unil November 2017. 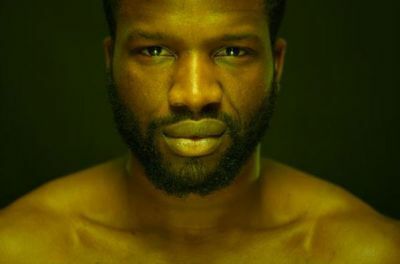 As part of the RSC’s current Rome Season which sees productions of Julius Caesar and Antony & Cleopatra in the main theatre and Imperium Part I & Part II in its sister venue, The Swan, Channel 4’s Humans actor Sope Dirisu will take on the title role. Coriolanus transports the audience back to the emergence of the Roman republic. Written by William Shakespeare circa 1605, the story of Caius Martius Coriolanus, a fearless soldier but reluctant leader, was probably never performed on stage in his lifetime. However, during the Restoration period it gained popularity as the epic tragedy with Coriolanus struggling between right and wrong in the politcal turbulance of the new city state, Rome, seemed to echo what was happening across Europe at the time. Previous “names” who have played Coriolanus in the past are Sir Laurence Olivier in 1937 and again in 1959; and more recently Sirs Anthony Hopkins and Ian McKellen, Ralph Fiennes in London and New York in 2000 and Tom Hiddleston at the Donmar Warehouse, London in 2013 and finally a relatively young Morgan Freeman appeared in a 1979 video release directed by multi-award winning Wilford Leach. The nearest train station to The Royal Shakespeare Theatre is Stratford-upon-Avon mainline. Optional discounted rail travel can be included in your short break.